GMT Games’ WW2 card-driven wargame Stalin’s War is now available. Stalin’s War covers the east front during WW2. Turns are seasonal (with a special turn for June 41) running to Summer 45. Axis units are armies (which can have up to four steps on two counters) and corps. All the panzer units are represented as corps (controlled by Panzergroup/Army Headquarters). Soviet units are armies and fronts, along with their large (but irreplaceable) 1941 mechanized corps, and late-war Guard cavalry-mechanized corps. There is a bit of errata for the game already but it looks good overall (although we wish game publishers would banish 1/2″ counters). You can get the rules and some series replays in PDF format. 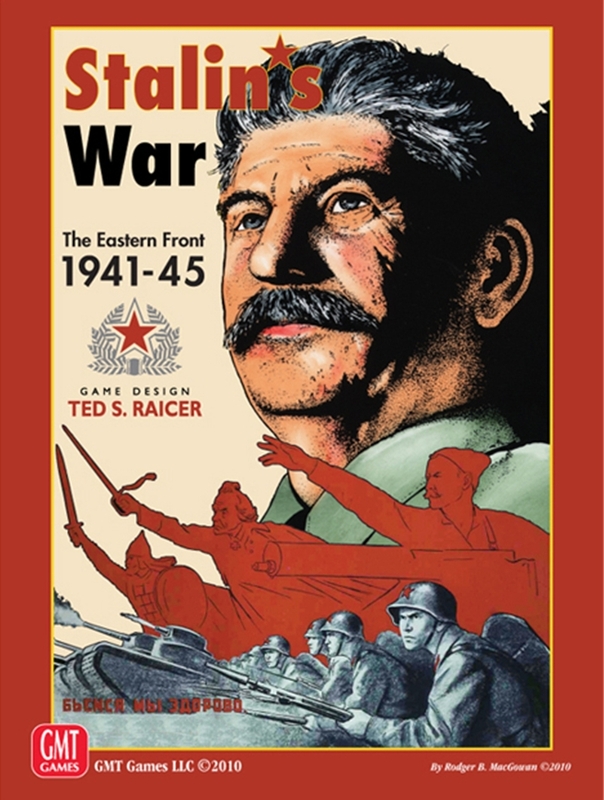 There is a review of Stalin’s War on BoardgameNews.com.